Puerto Rico will be back at the Miss World pageant with a gorgeous representative! In 2017's edition, Puerto Rico had to withdraw from the pageant due to the severe impact of hurricanes Maria and Irma. 24-year-old professional model Dayanara Martinez from Canovanas was crowned Miss World Puerto Rico 2018 held at the Raúl Juliá Theater of the Art Museum of Puerto Rico. 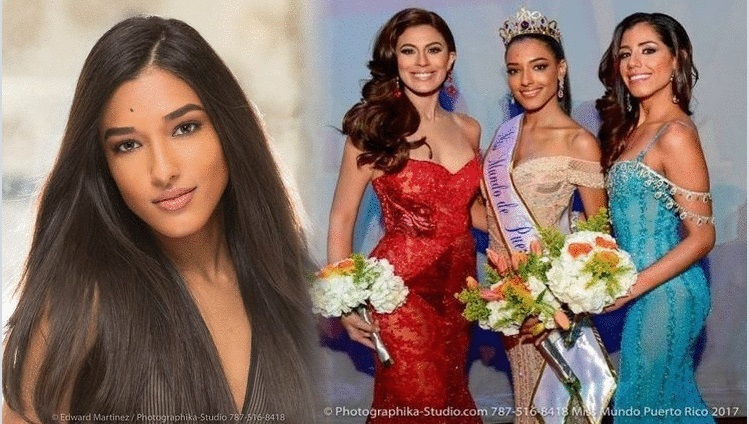 Dayara bested 19 other beauties and was crowned by Miss World 2016 Stephanie Del Valle. The runner-up was Monica Serrano from Trujillo Alto and the second runner-up was Yarelis Salgado from Ponce. Congratulations Dayanara!